Mold in the 10-year-old Spring Point Residence Hall forced Southern Maine Community College to place students in hotels and other dorms during the cleanup. SOUTH PORTLAND — Southern Maine Community College students displaced from their campus dormitory after the discovery of mold will move into the building this weekend, a college spokesman said. 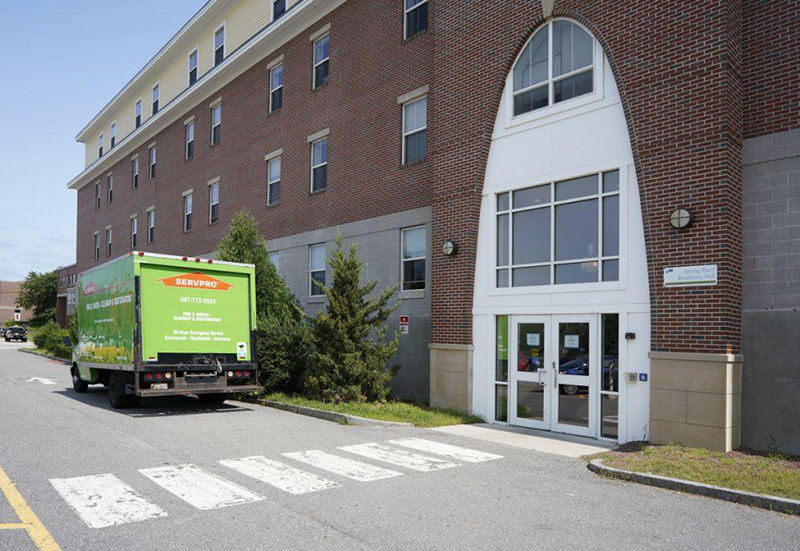 The discovery of mold in the 10-year-old Spring Point Residence Hall led administrators to temporarily close the building Aug. 19, just before move-in day at the campus. The school placed 320 students in alternative housing, including local hotels. Clarke Canfield, SMCC’s director of communications, said the hotels were along bus lines that stop at the college and students’ housing payments were applied to their hotel costs. Work to clean the building began Aug. 21 and included replacing ceiling tiles, painting and general cleaning. The cost of relocation and remediation has not been finalized, but Canfield said it likely will be expensive. Air quality testing done Monday gave the building a “clean bill of health,” Canfield said, and students were then told they could move back into the building Saturday. 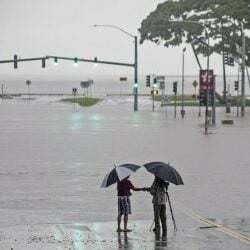 The college had estimated students would be able to move back in three to four weeks after cleanup began, and Saturday’s return is on track with that projection. Canfield said in August the mold found in the dorm was of several kinds, but only nominal, non-threatening levels of so-called black mold were detected. About 60 students who were already living in the residence hall moved out shortly before fall semester classes began. Some students were moved into Surfsite Residence Hall, also on the SMCC campus. Spring Point Hall has a capacity of 320 students; Surfsite Hall’s capacity is 147. College officials said the mold was brought on by a combination of a malfunctioning ventilation system and the high temperatures and humidity this summer, which caused condensation to form above the building’s ceiling tiles. Olivia Treadwell, a college sophomore who organized a protest Aug. 21 with a fellow student to address what they said was a lack of transparency, asked the school last month to reimburse students who experienced mold-related symptoms for laundry, summer housing and medical check-ups. Canfield said at the protest that as soon as the school became aware of the problem, students were moved from the dorm and experts were called in. He said this week that indoor air quality tests will become a regular practice.